St. Patrick's Wine Gifts is rated 4.9 out of 5 by 47. Rated 5 out of 5 by Miss M from A lovely gift option! I got this as a gift to my mom and dad, and they loved it! The way it was wrapped and delivered was very nice, and they said everything was excellent, especially wine. Rated 5 out of 5 by Britbrit from Wonderful and easy I bought this for my grandfather who lives in a different state. It was very easy to pick out a basket that he would like and it was so simple to send this to him from many miles away. Rated 4 out of 5 by Marylou from Beautiful basket Lots of choice. Convenient. Delivered on time. Thank you. Rated 5 out of 5 by Marilyn from Gourmet Baskets to the Rescue My grown kids are hard to shop for, but, they absolutely love their baskets...every time they are a hit!!! Thank you Gourmet Gift Baskets for coming to the Rescue. I have yet to enjoy a basket myself (le sigh). Rated 5 out of 5 by mizqueenz from Beautiful Basket Ordered for a gift and they loved it! Thank you, it also arrived one day early. 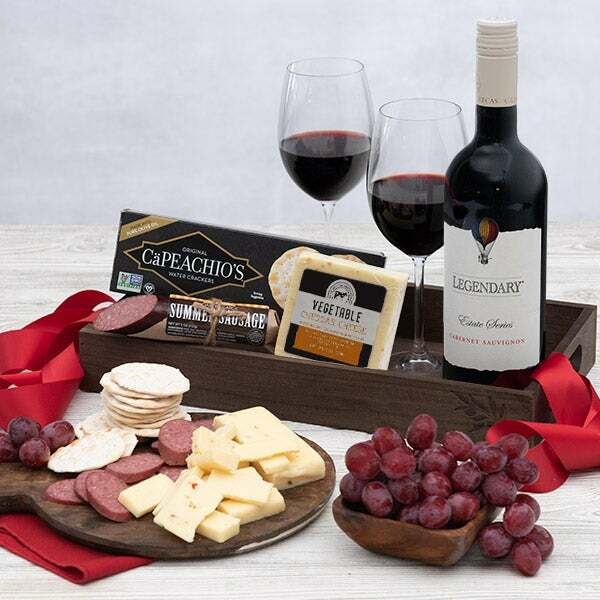 Take your St. Patrick's Day party up a level with this elegant wine gift crate. 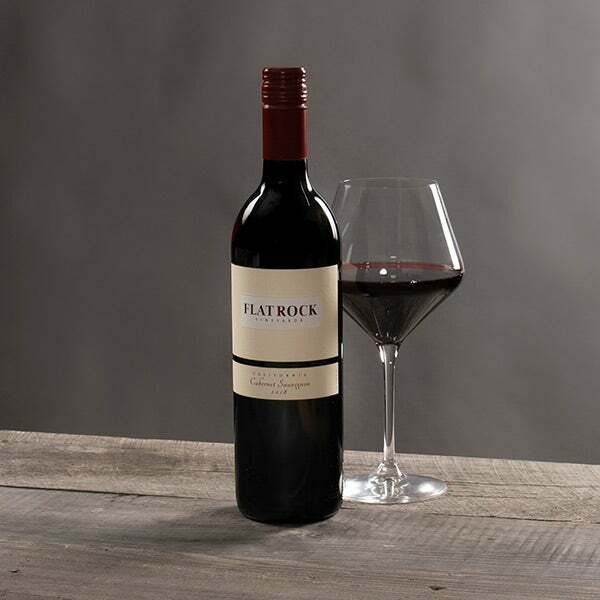 We have a rich California Merlot, ultra cheddar cheese and gourmet crackers, making it the perfect gift for a St. Patrick's Day date night! It's not the luck of the Irish that brings these great items together, but your friends here at GourmetGiftBaskets.com! 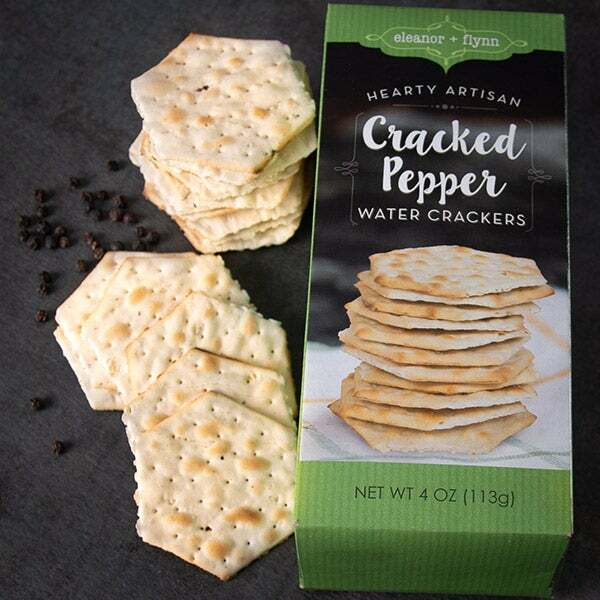 Stoned Wheat Crackers by Eleanor & Flynn/b> - 4 oz. 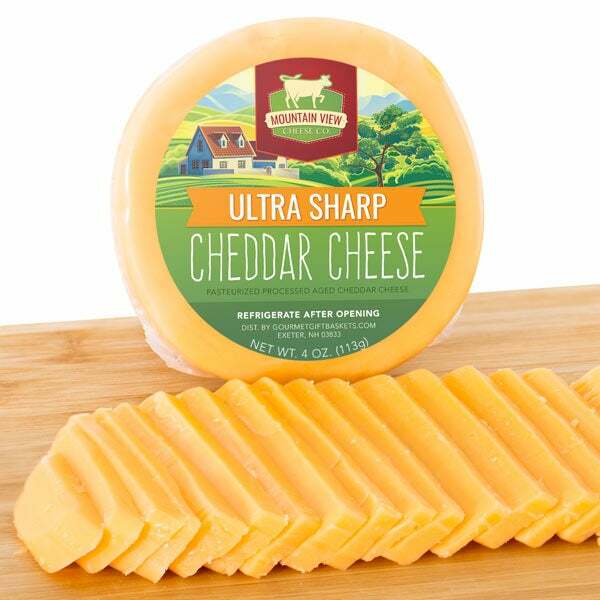 Ultra Sharp Cheddar Cheese by Mountain View Cheese Co./b> - 4 oz. 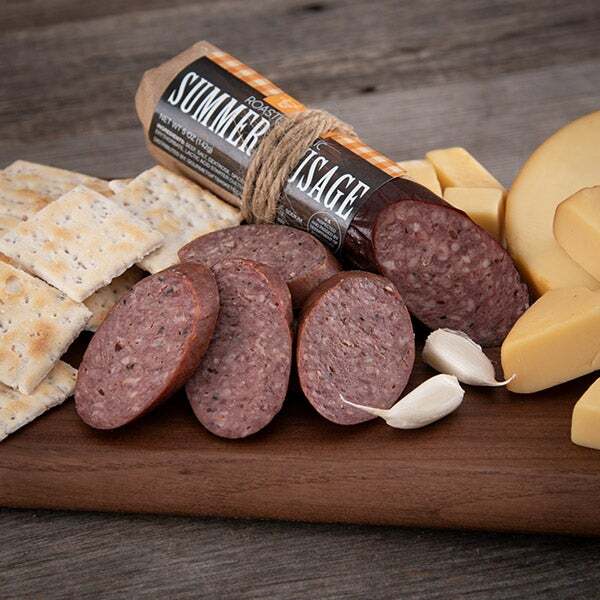 Garlic Sausage by Hanover Smokehouse/b> - 5 oz.